Exactly one year before adaptation of General Data Protection Regulation, the British Polish Chamber of Commerce and SSW Spaczyński, Szczepaniak i Wspólnicy, organised an event to share the details of this reform. The European Commission states that the regulation is “an essential step to strengthen citizens' fundamental rights in the digital age and facilitate business by simplifying rules for companies in the Digital Single Market”. However, such significant changes are never easy to implement. The meeting was organized as a part of the BPCC Telecoms, Media and Technology Policy Group aimed to clarify at least some of the issues related to the new regulation and to help businesses prepare for it. 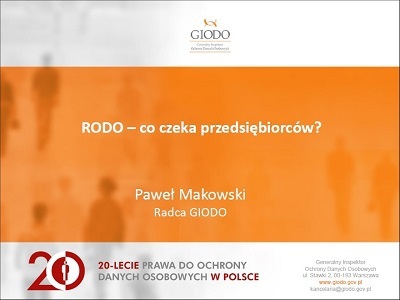 Speakers’ presentations and full coverage is available on the Polish version of our website.